(Newser) – To ex-Fox News host Bill O'Reilly, the late Roger Ailes was a "force of nature with an agenda," he writes in a tribute to his former boss in USA Today. O'Reilly explains Ailes' ultimate goal—to "infuse America with traditional philosophy and see to it that conservatives like him were heard loud and clear"—and his achievement of it, most notably by founding Fox News. O'Reilly paints the channel as an underdog startup that was derided by the liberal establishment, especially CNN's Ted Turner, only to find quick success. O'Reilly recalls his own early days on the network, where he was given free rein to be "fair and tough," with Ailes always publicly defending him "when stuff hit the fan"—even if in private Ailes razzed him. 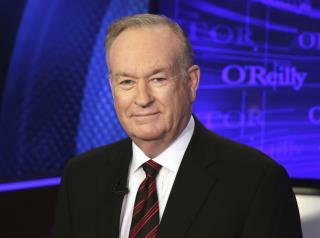 "He was genuine, charismatic, profane, generous, and sincere in his beliefs," O'Reilly writes. Birds of a feather. Obviously you mean that he embodied hatred, right? Not that he was the victim of it. Right? Take a good look at the hypocrite fools who claim tolerance is what they are about.